When planning our Australia itinerary it was very hard deciding how to spend our 8 days. While going from Sydney to Melbourne was high on my list I was outvoted for Syndey and Cairns. 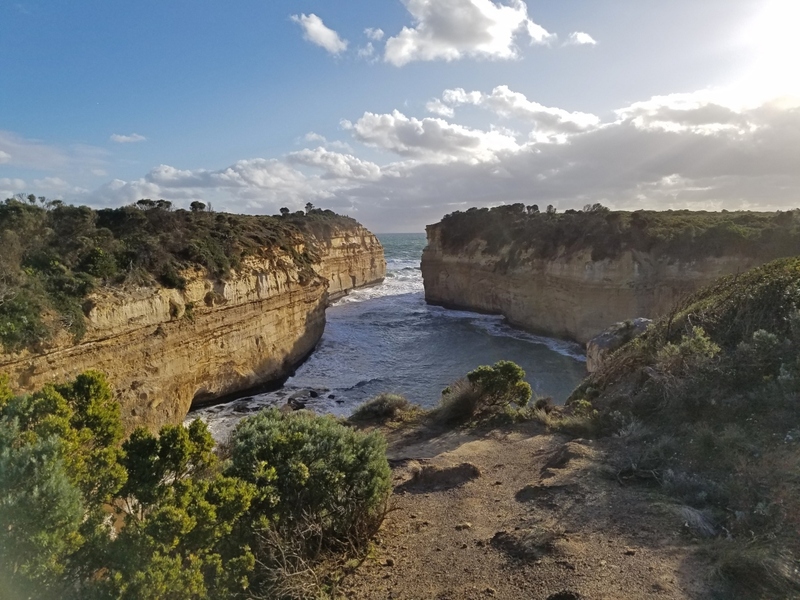 However, missing a once in a lifetime opportunity to take The Great Ocean Road Tour had me book a last minute flight from Sydney to Melbourne and I am so glad I did. 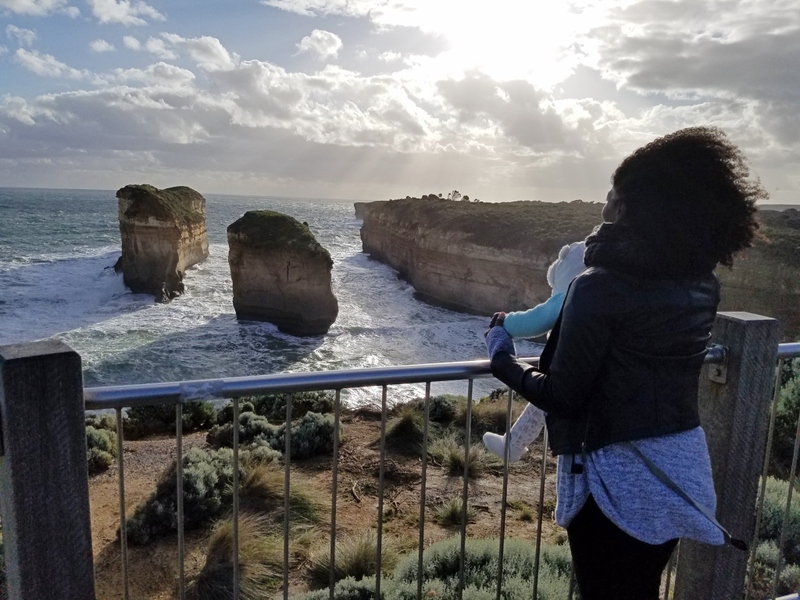 Here’s everything you need to know about traveling from Sydney to Melbourne for The Great Ocean Road Tour. When traveling from Sydney to Melbourne you will have many options from International airlines to smaller budget airlines. We chose to fly the budget airline Tigerair. Tigerair has an extremely limited luggage allowance but since we already booked our Airbnb in Sydney prior to booking this trip we only needed a bag for our day in Melbourne and left the rest of our luggage in Sydney. Roundtrip flights from Sydney to Melbourne range from $70-$200 round trip and there are flights nearly every hour from 7:00AM to 11:00PM. When deciding where to stay in Melbourne we decided a Melbourne airport hotel would be best. This is because we were only spending one full day in Melbourne arriving from Sydney late at night and returning on a 6AM flight. With options to fit any budget directly at Melbourne Airport you can choose between Park Royal, Holiday Inn, and ibis Budget Melbourne Airport hotel. Since we had an extremely short trip from Sydney to Melbourne and were taking a tour with provided transportation renting a car didn’t make sense. Instead to get to the city for our tour we took the Melbourne Airport Shuttle,the SkyBus. The Melbourne Airport Shuttle is an express bus that gets you from the airport to the city in 20mins. At the time of our visit the cost was $28.96 round trip. The Melbourne Airport Shuttle picks up in front of Terminals 1, 3, & 4. Even if you are coming into Terminal 2 the walk between terminals is extremely short as it’s a small airport. If you are staying in a hotel in the city, they even have complimentary shuttles that will take you from the bus station to and from your hotel. For our one day in Melbourne we booked this Sunset Great Ocean Road Tour through Viator. You will meet your tour guide at the office before they whisk you a way for this 14 hour tour. 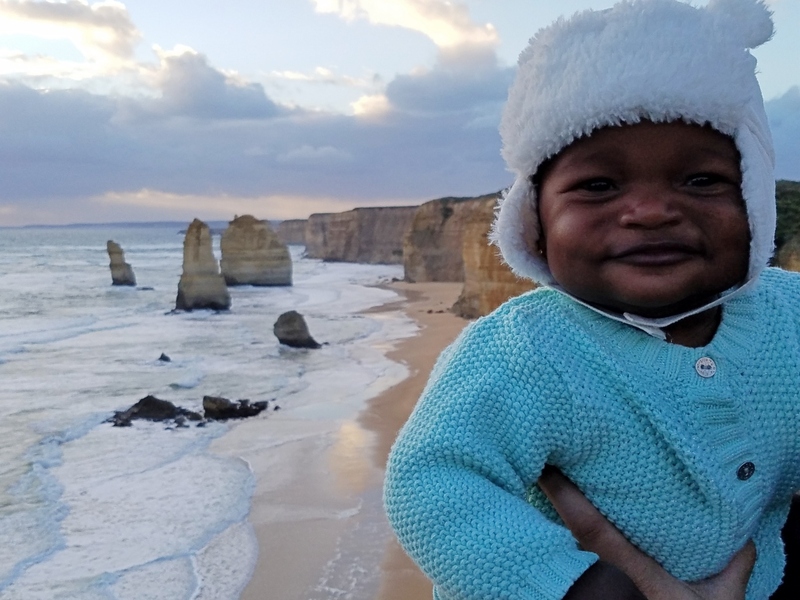 The main attraction of the Great Ocean Road tour is visiting the 12 Apostles but there is more in store on this tour. Before getting the 12 Apostles you have a very scenic coastal drive. You’ll stop in the Eucalyptus Forest where you can see wild Koalas up in the trees. On our Great Ocean Road tour we even spotted wild Kangaroos, what a sight to see. Afterwards you will make a pit stop in a small town for a pizza lunch. Here you’ll also have time to stretch your legs and walk along the beach, shop in the various stores and get some dessert. Heading back out you will visit both the Loch Ard Gord and Gibson Steps. Our driver allowed us about 25-45 minutes at each stop before we had to head to the next one. How much time you’ll have depends on the time of year you visit and what time the sunsets at the 12 Apostles. We stopped for dinner right before getting to the 12 Apostles. There wasn’t the opportunity to sit down like we did earlier for lunch. Our driver brought us to a place where we could use between two options. Fish & chips are huge in this area so we decided to try out the recommended place. You can eat in the van on the way to the 12 Apostles or wait until you get there to eat while watching the sunset. I knew I’d need my hands to take pictures so I opted to eat in the van! It is a long day with a lot of driving but it was more than worth it! ​In hindsight I could have only spent 2 days in Sydney and 2 days in Melbourne. I wasn’t too much of a fan of Sydney and would have liked to explore more of Melbourne. One of my friends who came to Melbourne with us opted to just explore the city instead of doing the Great Ocean Road tour. She said she loved it and was so happy she too ditched a day in Sydney. Either way I am so happy I followed my gut and changed my itinerary. Heading from Sydney to Melbourne to experience the Great Ocean Road Tour was an unbelievable experience. Did you find this post helpful? Please share it!